Symptoms of PTSD, commonly known as post-traumatic stress disorder, can appear right away or take years to surface. Returning soldiers often experience it because they faced danger to their lives or the lives of their fellow soldiers, and they had no control over the situation. They witnessed injuries or death, or they themselves also suffered physical harm. The shell shock and combat stress symptoms common among those suffering from PTSD are varied; however, many experience suicidal thoughts, recurring memories and nightmares, sleeplessness, a loss of interest in life or feeling numb, anger, irritation, and fear. PTSD can thus impact their everyday life. A trained PTSD service dog can provide a sense of security and have a calming effect on the veteran, help with episodes of depression, and be a loving companion. These dogs can sense mood and will know when it’s a difficult day. Additionally, organizations train them to respond to PTSD episodes and help bring their humans back to a relaxed state. Furthermore, they give companionship without judgment, bringing joy into lives as they help heal emotional wounds. As a wonderful bonus, it’s often a new lease on life for the dog as well. 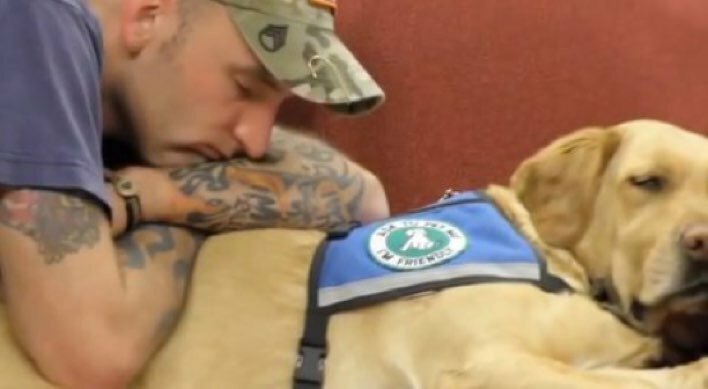 Many service dogs trained to help those suffering from PTSD have been on a difficult journey of their own and are rescues that were mistreated or abandoned and were living in shelters. Organizations train these dogs to alert veterans to potential PTSD triggers and to help them ease their anxieties. 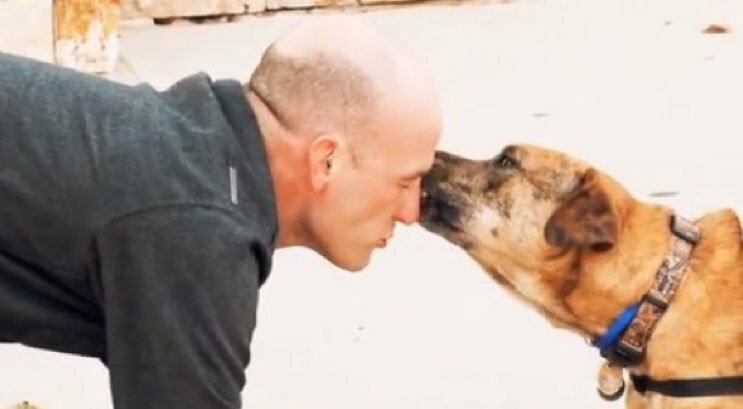 It’s a win/win situation when the dog is rescued, gains a secure home and has a purpose, and the veteran gets a companion to help diminish the emotionally destructive feeling of isolation. If you are a veteran or know one who could benefit from a trained service dog, there are dozens of organizations who can help. As we approach Veterans Day and honor those who have valiantly served and sacrificed for our country, it’s also time to salute the many organizations and non-profits making it possible for veterans with PTSD to be matched with canine companions. There are many fabulous organizations in big cities and small towns throughout the country whom are dedicated to helping returning military rebuild their lives with help from an assistance dog. Additionally, more information and PTSD resources are available through the Veteran’s Administration website and locally at Veteran’s Administration offices in many communities. You can also help by reaching out to these organizations, donating and volunteering. They need lots of help socializing and training dogs for soldiers–no experience necessary in many cases. It’s a beautiful way to show your gratitude to those who have served.